Neiman Marcus and Ford have teamed up to create a unique 2015 Ford Mustang Convertible which will be featured in this year`s Christmas Book. Even if Christmas is still a long way, the joint venture has already finished working on the special edition, which will be available in just 100 units. The order book will start next week, with deliveries to begin next March. Each model costs $95,000. 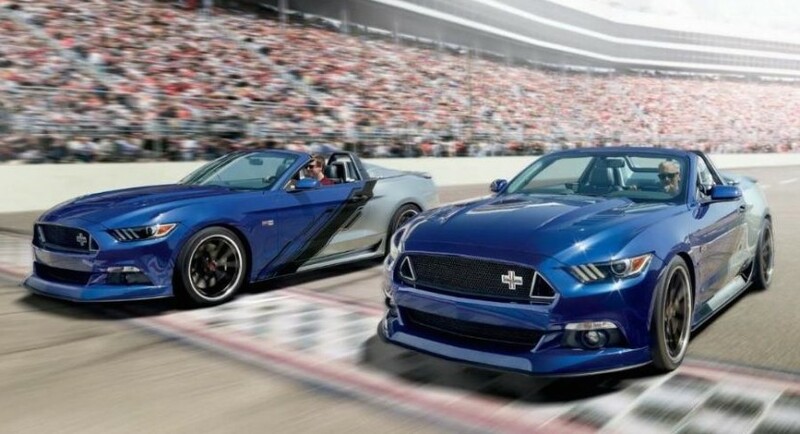 The 2015 Neiman Marcus Ford Mustang Convertible will come with a tri-tone exterior, and a one-off body kit with a lot of new components, like the front splitter, Magnaflow side-exiting exhaust, flared wheel arches, side sills, rear spoiler, as well the 20-inch alloy wheels with the NO05 rubbers. Inside, the cabin of the 2015 Neiman Marcus Ford Mustang Convertible will bring forward the illuminated door sills, racing seats, embroidered headrests, carbon fiber trim and so on. The most visible changes were made under the hood, the 2015 Neiman Marcus Ford Mustang Convertible coming with a 5.0-liter V8 engine, with an upgraded power of 700 HP, enough to make it sprint from 0 to 100 km/h in just 3.5 seconds, at a topping of 313 km/h. The power is sent to all wheels via a six-speed manual transmission.